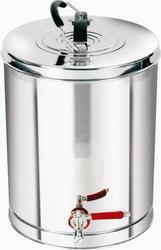 Our product range includes a wide range of hot & cold water pot, water pot, water filters diamond touch, pedal dustbin, perforated pedal bin and airport bin. 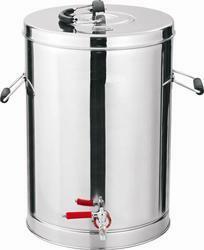 Owing to the expertise of our team of experienced professionals, we are able to manufacture and supply an exclusive range of Hot & Cold Water Pot. 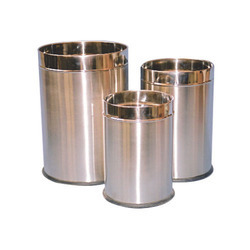 Backed with rich experience and knowledge in this sector, we are considered to be one of the most professional manufacturers and exporters of Water Pot. 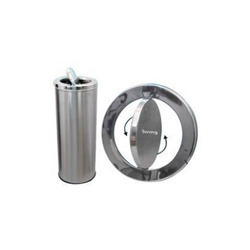 Owing to the expertise of our team of experienced professionals, we are able to manufacture and supply an exclusive range of Water Filters Diamond Touch. 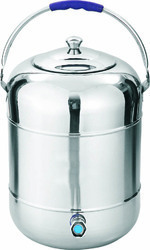 Storage Capacity Up to 50 Ltr. 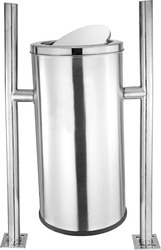 Backed by sound infrastructure, we are able to provide patrons with superior quality Pedal Dustbin. 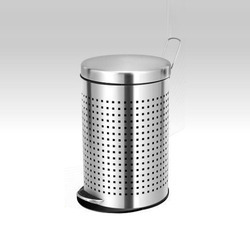 Owing to the expertise of our team of experienced professionals, we are able to manufacture and supply an exclusive range of Perforated Pedal Bin. Owing to the expertise of our team of experienced professionals, we are able to manufacture and supply an exclusive range of Airport Bin. Owing to the expertise of our team of experienced professionals, we are able to manufacture and supply an exclusive range of Dustbin. Owing to the expertise of our team of experienced professionals, we are able to manufacture and supply an exclusive range of Hanging Open Perforated Bins. Owing to the expertise of our team of experienced professionals, we are able to manufacture and supply an exclusive range of Hanging Push Bins. Owing to the expertise of our team of experienced professionals, we are able to manufacture and supply an exclusive range of Hanging Swing Bin. Owing to the expertise of our team of experienced professionals, we are able to manufacture and supply an exclusive range of Paper Bins. Owing to the expertise of our team of experienced professionals, we are able to manufacture and supply an exclusive range of Push Dust Bins. 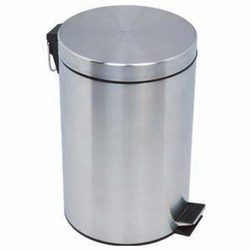 Owing to the expertise of our team of experienced professionals, we are able to manufacture and supply an exclusive range of Push Dustbin. 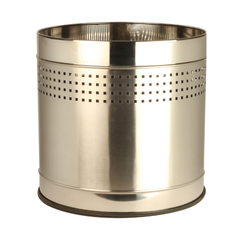 Owing to the expertise of our team of experienced professionals, we are able to manufacture and supply an exclusive range of S.S Tea Container. 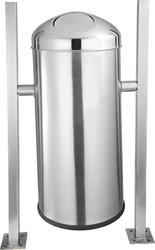 Owing to the expertise of our team of experienced professionals, we are able to manufacture and supply an exclusive range of Stainless Steel Dustbins. Owing to the expertise of our team of experienced professionals, we are able to manufacture and supply an exclusive range of Swing Bin. Owing to the expertise of our team of experienced professionals, we are able to manufacture and supply an exclusive range of Tea Container. 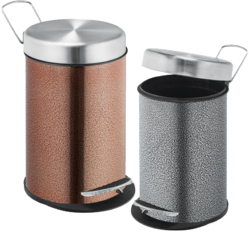 Owing to the expertise of our team of experienced professionals, we are able to manufacture and supply an exclusive range of Ash Bins. Packaging Details: EACH PIECE PACKED IN A POLYBAG AND THEN TO A MASTER CARTON. 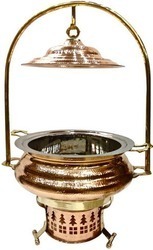 Backed by sound infrastructure, we are able to provide patrons with superior quality Hammered Mughal Mahal Chafing Dish. 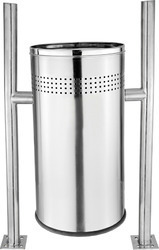 By utilizing our years of experience, we bring forth a qualitative array of Stainless Steel Planter. 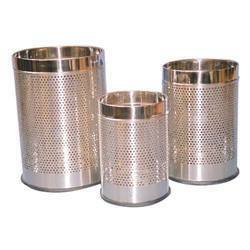 These planters are widely demanded in diverse industries for meeting diverse applications. To maintain industry defined quality standards, these planters are manufactured using quality proven steel and cutting-edge technology. Also, the entire range is examined properly by our experienced quality controllers upon distinct parameters of quality. Owing to the expertise of our team of experienced professionals, we are able to manufacture and supply an exclusive range of Toilet Holder Brush. 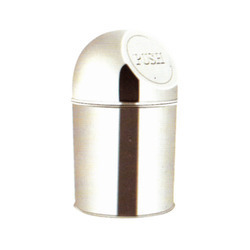 Owing to the expertise of our team of experienced professionals, we are able to manufacture and supply an exclusive range of Copper & Silver Finish Peddle Dustbin. Owing to the expertise of our team of experienced professionals, we are able to manufacture and supply an exclusive range of Water Filter (Premium).